WILDLIFE lovers in Inishowen have been 'swift' to help out one of our favourite summer visitors. 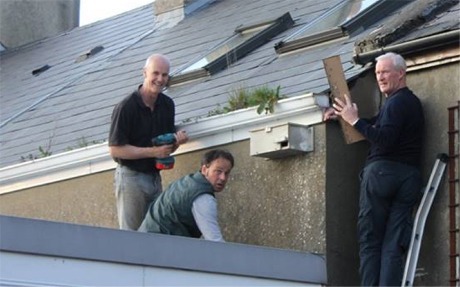 Members of Wild Inishowen including George McDermott, Dermot McLaughlin, Martin Moloney and Carl King, have been busy erecting nest boxes around Buncrana for swifts which are now turning up in the local area after flying from their winter habitats in Africa. Swifts are one of Ireland's fastest flying birds and are often mistaken for swallows. But unlike the swallow's blue, cream and brick red colouring, the swift is sooty brown. 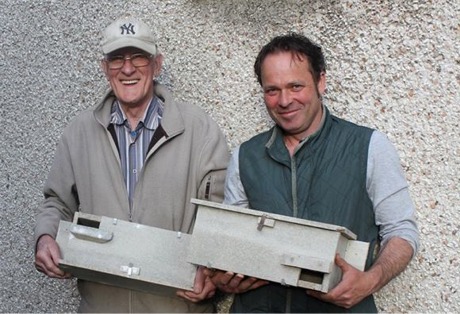 Wild Inishowen members build some new nestboxes in Buncrana for the summer visiting swift. The swift spends virtually all of its life on the wing due to small, weak feet that prohibits a firm landing. Unlike the swallow and martin, it is rarely seen on telephone wires during its summer stay from April to August. While the European population is said to be secure overall, the swift is amber-listed in Ireland due to a decline in the breeding population, says BirdWatch Ireland. The group has been keeping its hundreds of Facebook followers up to date on the progress of the swift houses. They are placing the bird houses at sites where the swifts nested last year. The group have also taken on board some helpful tips from people suggesting a few adjustments to the new abodes. One follower suggesting an amendment, said, "swifts need to swoop from below up into the box".